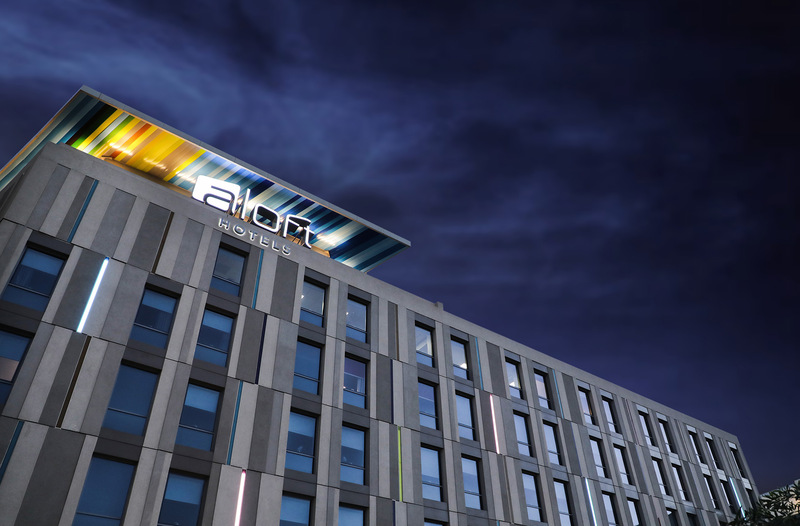 Aloft Hotels are a visionary of W Hotels with more than 100 locations worldwide. 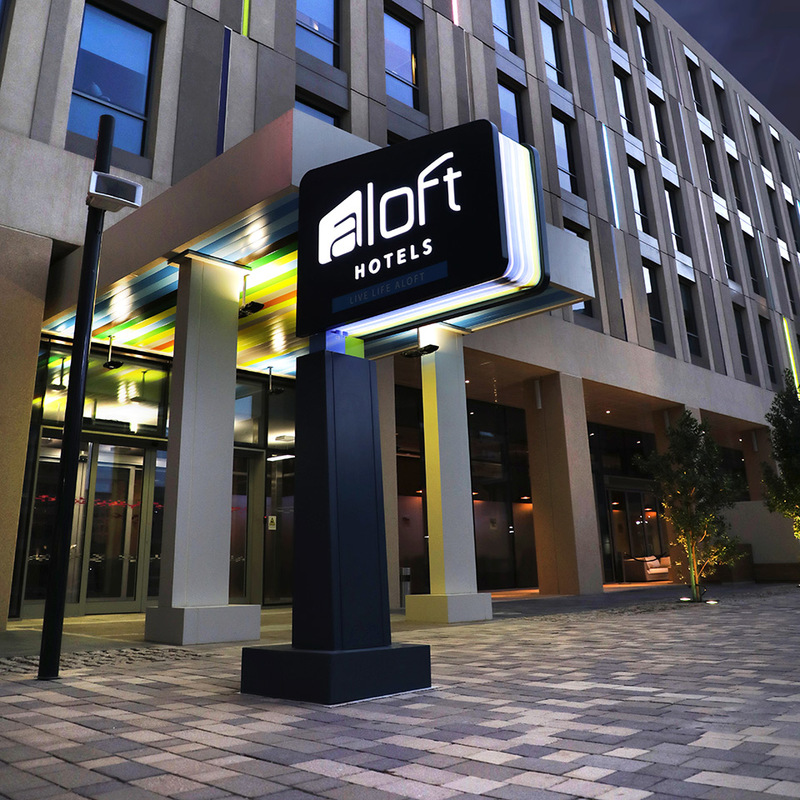 The brand is notable for its modern architectural design style. 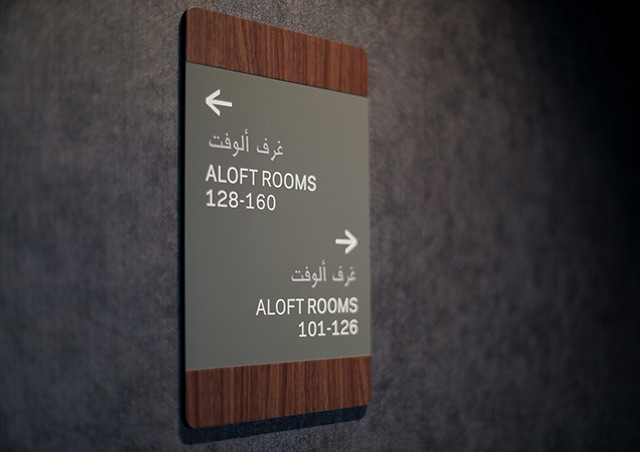 We were tasked to design and manufacture the signage for Al Ain to suit the hotels brand standards and to fit in with its ethos. 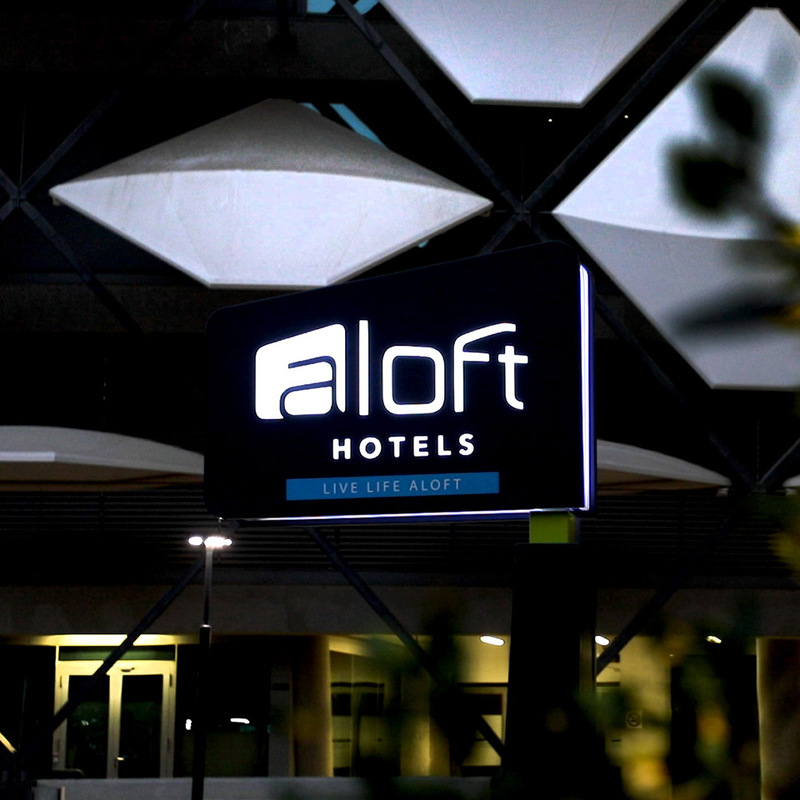 Using Aloft’s existing branding as a reference, Blue Rhine Industries rationalized the products into a simple system of brand elements which could be manufactured and easily installed, delivering significant time savings. 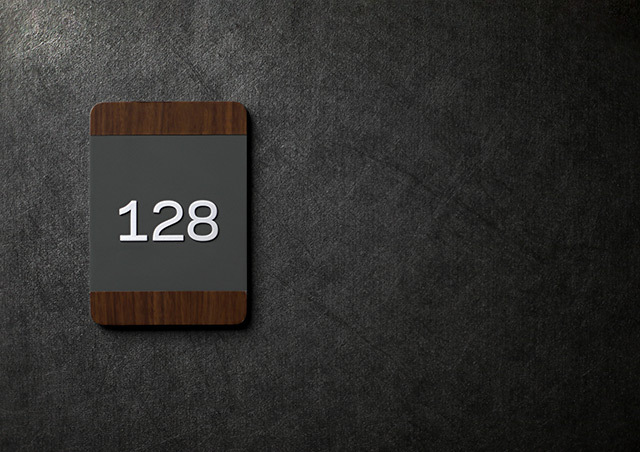 The new system was fully developed including concept design, engineering detailing and specifications. 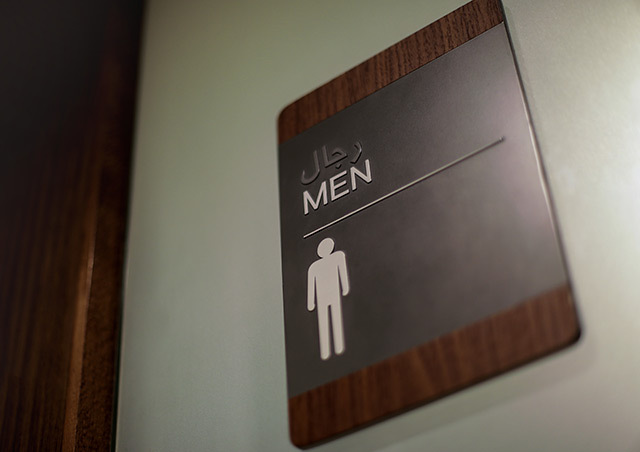 Blue Rhine Industries then managed the rollout process controlling all aspects of manufacturing and installation.